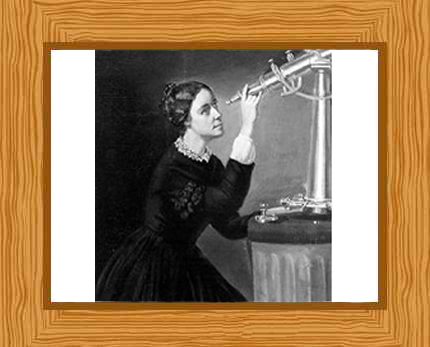 In the history of astronomy, Maria Mitchell was the first ever American woman who worked as a professional astronomer. For her discovery of the comet which was named after her, she received a gold medal as recognition from the king of Denmark, King Frederick VII. On the medal, the phrase “Not in vain do we watch the setting and rising of the stars” was inscribed, referring to how Maria Mitchell made her discovery with the use of her telescope. Maria Mitchell hailed from Nantucket, Massachusetts, USA and was born on the first of August 1818. She was the third child and second daughter of ten children. 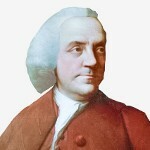 She was a distant relative of Benjamin Franklin. Her parents, William Mitchell and Lydia Coleman Mitchell were of the Quaker faith and she received a good education. Thanks to one of the tenets in the religion of the Quakers, she received equal intellectual treatment with her brothers. This was one of the reasons for her fostered love of science. Her earliest years in school were spent at Elizabeth Gardener’s small school. Then she attended North Grammar school, where her father was the school principal. Her awareness for astronomy came to life when her father began to teach her about the stars with the use of his own telescope. She would star gaze from the roof tops of their home when there was a clear sky and was fascinated by them. Maria also enjoyed the quiet and solitude of the roof. At a tender age of twelve, she had already been assisting her father calculate when the exact time of an annular eclipse. When the school founded by her father closed, she then attended Cyrus Peirce’s school for young ladies. She later worked as a teaching assistant for Cyrus Peirce himself before opening her very own school in 1835. A year after her own school was opened, she was then offered the position of being Nantucket Atheneum’s first librarian, and she worked there for 20 years. After work she would gaze at the sky at night with a telescope studying solar eclipses, the stars and the planets. On the first of October, 1847 she discovered the comet named after her, while star gazing with her telescope on the roof of her father’s business premises. During those years, the king of Denmark, King Frederick VII gave gold medals for anyone who had telescopic comet discoveries. The medal was awarded to the first discoverer of the comet only, and not to anyone else who subsequently discovers the same celestial phenomenon. In astronomy’s history, Maria Mitchell is the second woman to discover a comet next only to Caroline Herschel. After her discovery of “Miss Mitchell’s Comet,” she gained popularity worldwide and was recognized for her contribution to astronomy. Today, the official designation of this comet is C/1847 T1. In 1848 she became the first lady member of the American Academy of Arts and Sciences. Two years later, she was elected to the American Association for the Advancement of Science. After being part of those important associations and institutions for astronomy, she worked for the U.S. Nautical Almanac Office where she calculated tables for the positions of the planet Venus. Mitchell resigned from her library work and travelled to Europe in 1856 with the family of Nathaniel Hawthorne, an American short story writer and novelist. In 1865 she accepted a position at Vassar College, New York as professor of astronomy and her research included tracking and photographing sunspots. In 1882 she observed and recorded Venus traversing the sun. Two of Maria Mitchell’s favorite planets were Jupiter and Saturn and during her years in Vassar College, she continued with her research about the surface of these planets and also photographed the stars. The apparatus she used to photograph both the sun and the stars was her own, and she preserved plates of these photographs in one of the observatory’s closets. Her works, along with those of her students were published in the Silliman’s Journal, a top scientific journal of those times, established by Benjamin Silliman in 1818 at Yale. Apart from using the observatory dome of Vassar College for astronomy and scientific purposes, she also used it as a meeting place for discussing politics along with women’s rights and issues. She was elected to the American Philosophical Society in 1869. She helped co-found what the American Association for the Advancement of Women in 1874 and served as their president for three years. Being born at a time when women’s rights weren’t equal with those of men, it can be said that Maria Mitchell’s contributions to science as well as the welfare of women are to be considered as valuable contributions to both science and history. In 1843, she left the family’s Quaker faith and began to follow Unitarian principles. She protested against slavery and to show her efforts, she stopped wearing clothing made of cotton. She had been friends with other fellow suffragists like Elizabeth Cady Stanton. Mitchell retired from teaching in 1888 and on June 28, 1889 she died, aged 70 years old in Lynn, Massachusetts. In Nantucket, the Maria Mitchell Observatory is named after the honor of one of the most noted female astronomers who truly made a mark in history. After her death, she was made a part of the U.S. National Women’s Hall of Fame. On the moon, a crater was named “Mitchell” after her to commemorate her importance in the field of astronomy.